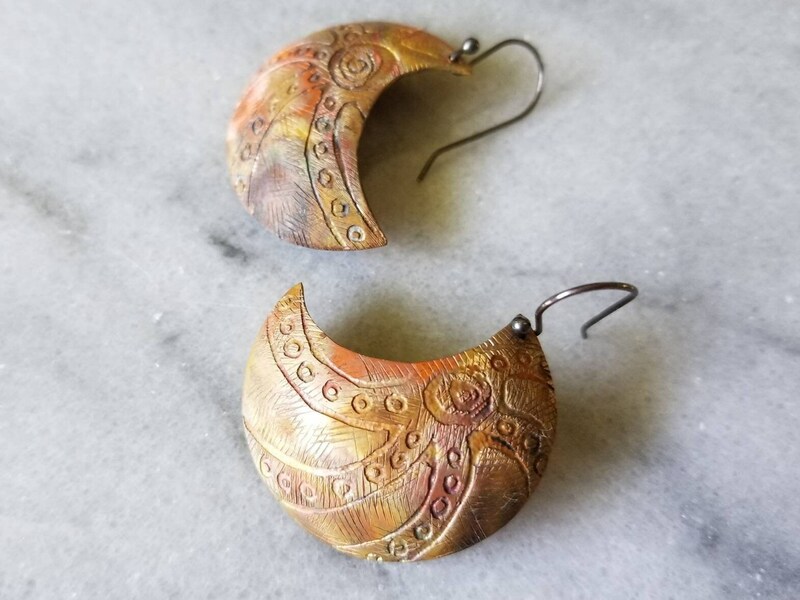 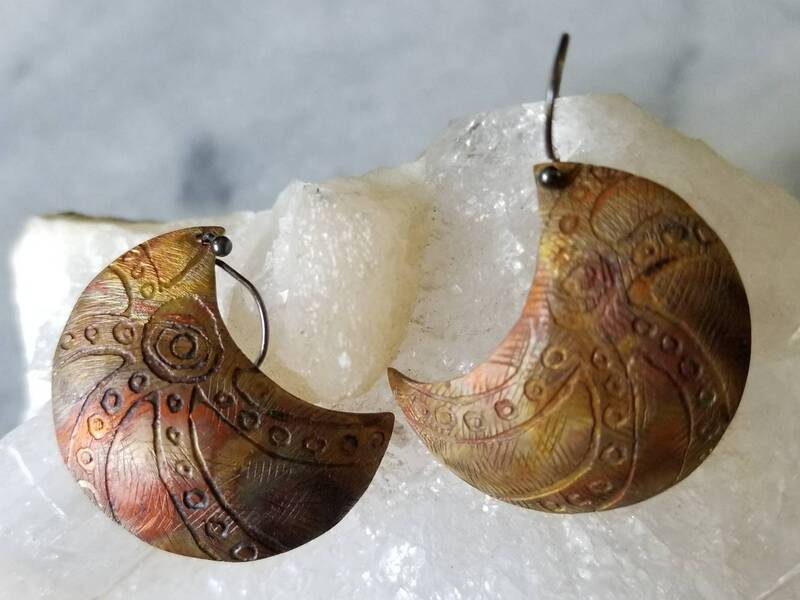 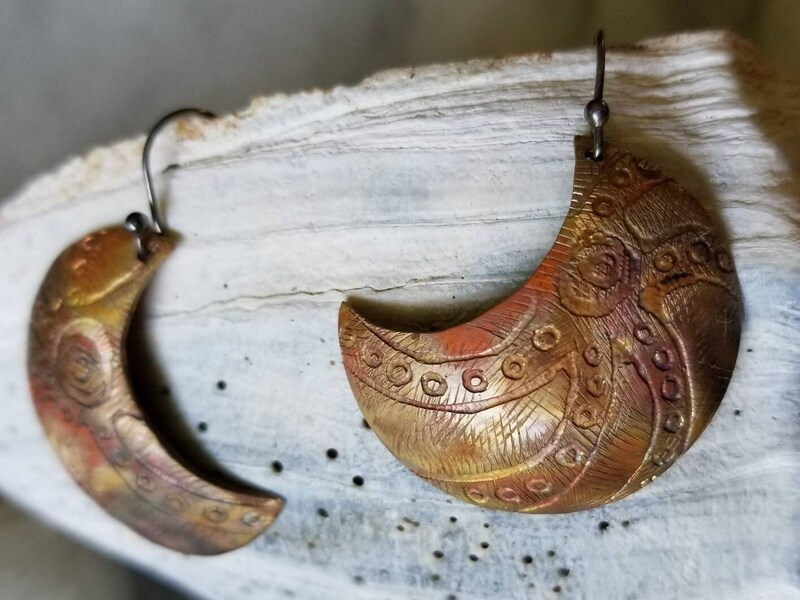 I cut out the crescent shapes by hand and etched the drawings into the surface of the copper, domed the shapes and further textured them with hand tools. 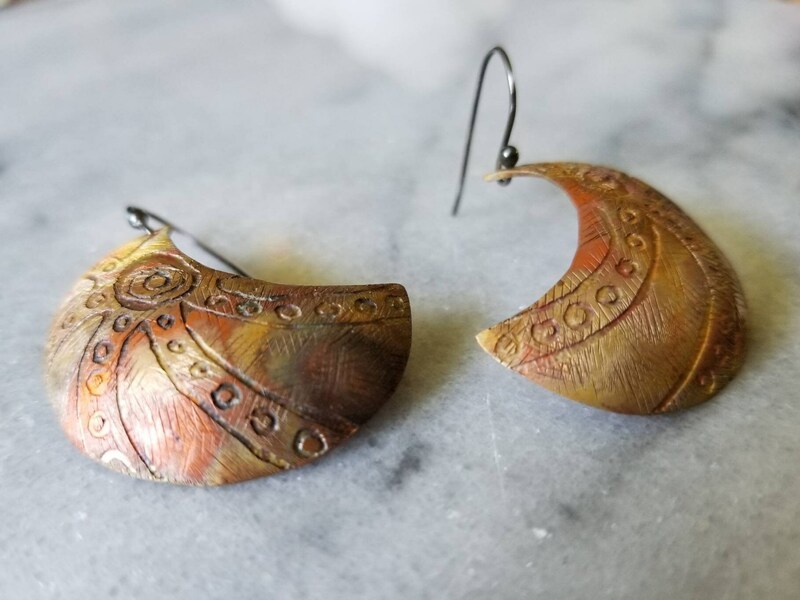 I used the torch to produce the beautiful earth tones on the metal. 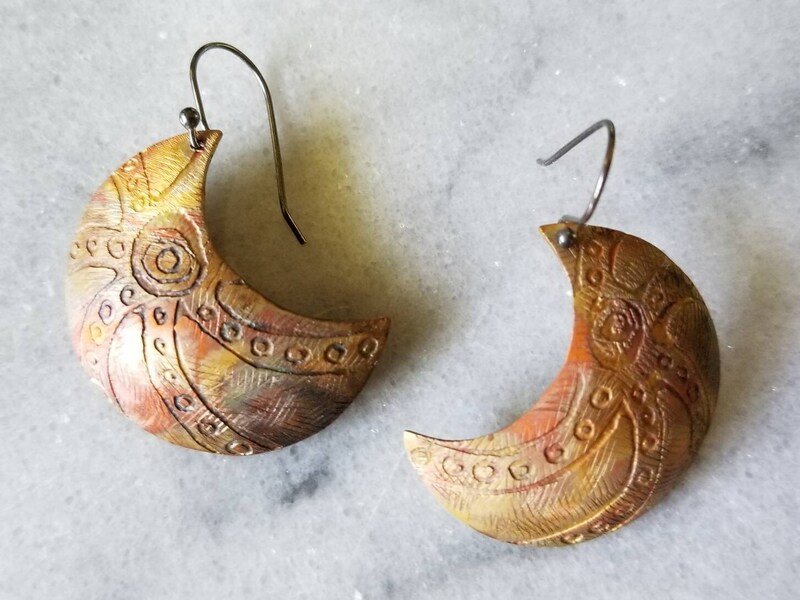 The crescents hang on hand made sterling silver ear wires. 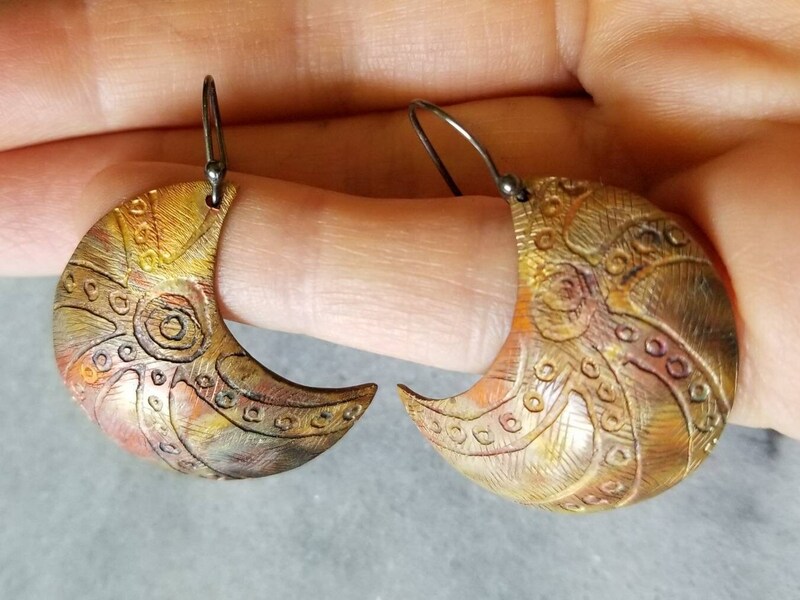 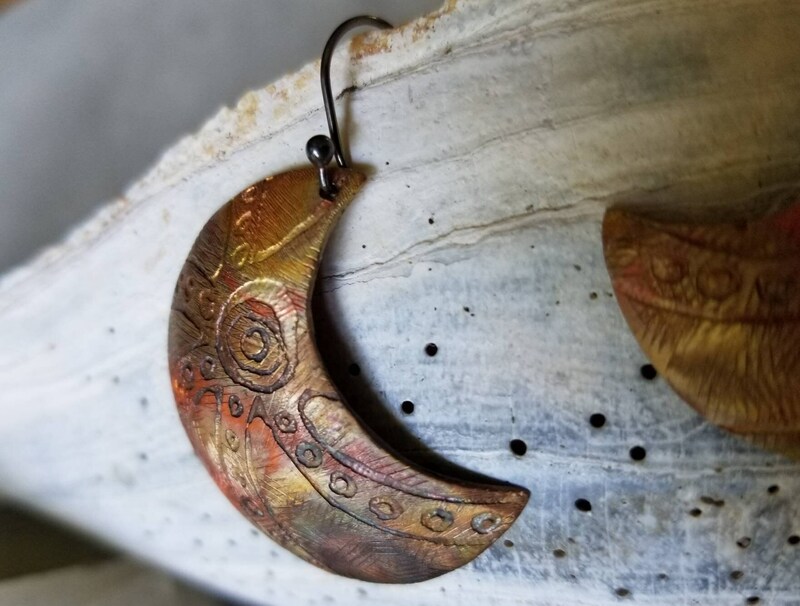 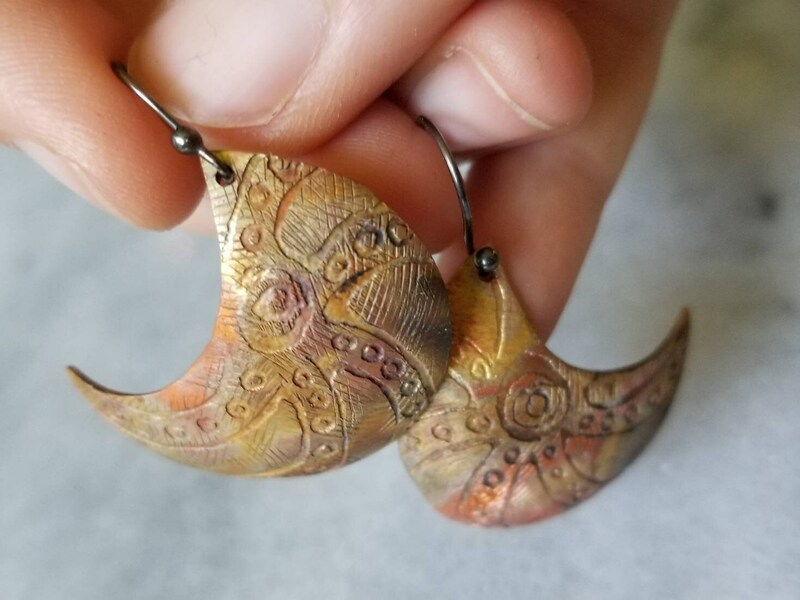 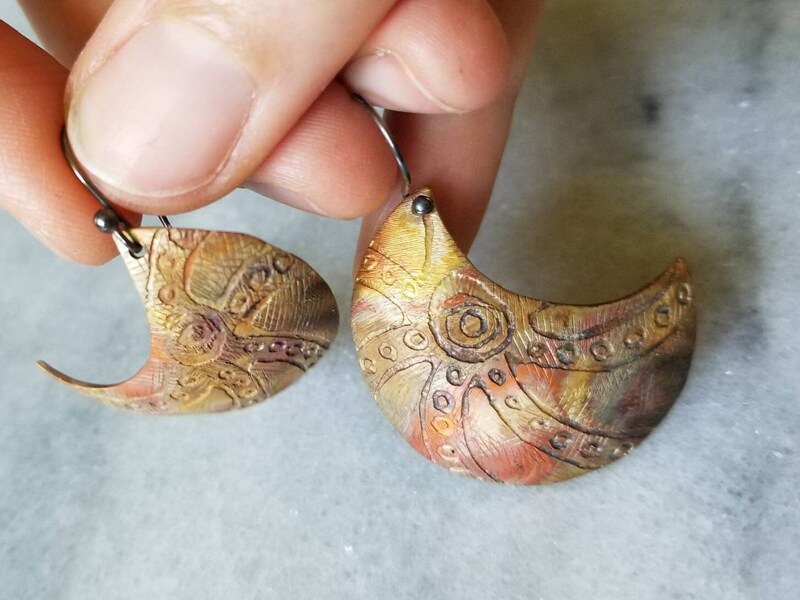 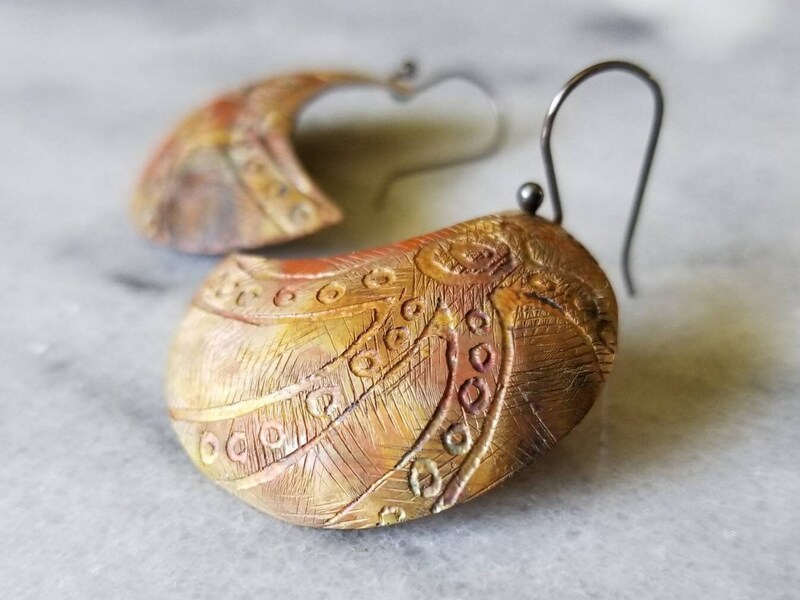 These earrings are just under 1.5 inches long and one of a kind.